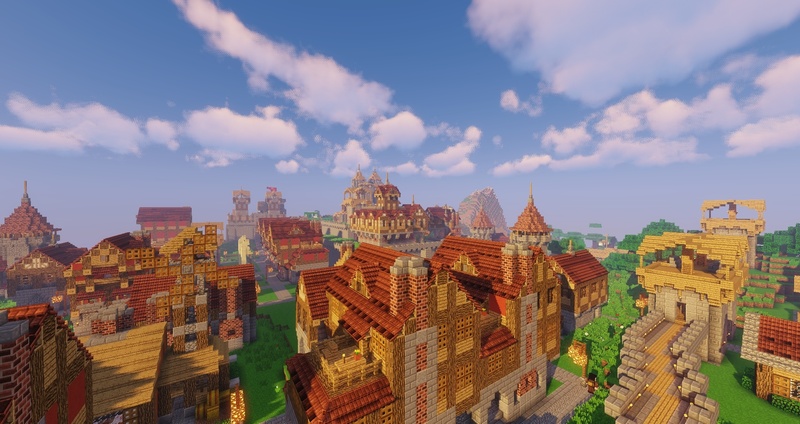 Minecolonies is an interactive Town building mod that allows you to create your own thriving Town within Minecraft. It depicts real-life scenarios by providing you with different craftable options to build your own Town and enhance your gaming experience. Featuring many NPC workers such as: Builders, Crafters, Farmers, Fishermen, Guards, Miners, Smelters, Bakers, Cooks, Deliveryman, Animal Herders and many more planned for development. As well as specialized buildings such as: Warehouse, Citizen Huts and a Townhall. Minecolonies gives you the ability to create a colony as rich and unique as every player. Minecolonies is a free and open source mod developed by Let's Dev Together (LDT), a non-profit community. Our developers area a hardworking well integrated coding team, continuouslky working to add more content to out mod and make the Minecolonies experience even greater! But we are always looking for more people to contribute to our project! Notice: We are releasing new builds automatically. We actively use Alpha/Beta/Release to state how tested builds are. Remember that when using Alpha builds. What version of forge is to be used for the mod? 1.8.9 uses 1855 I think. 1.10.2 is a moving target, if it is not working, create an issue please. I think you guy's delete the previous version to fast. The 4.4.3 (1.10.2) version does crash at startup. But now there is no way to retrieve the older version that did work. Could you leave 1 or 2 older version on there? Nice update! I think you guys should start working on the carpenter/crafter next. Then afterwards the courier and storehouse. Lastly, the barracks and guards/hunters. After that, i think ill be settled with features for the time being. Anyways, thx for still updating this mod and keep up the great work you guys! Crafting / storage will be my first task with the new version. 1.10.2 brought cool new features so expect mod compatibility. The others will work on other features and crafting will take a lot of time. Kostronor great thx for 1.10.2! Please make this 1.7.10 compatible, I've been trying to find mods like this one forever!